An illustration from Science – An Illustrated Journal, a nineteenth-century weekly published in New York by The Science Company. The picture is an experiment carried out according to the ideas of the French physiologist Charles Richet (1850–1935) who believed in thought transmission. Richet did research on such subjects as digestion and breathing, as well as homeothermic animals, whilst later becoming interested in hypnosis and spiritualism. He believed there could be physical explanations to paranormal phenomena. 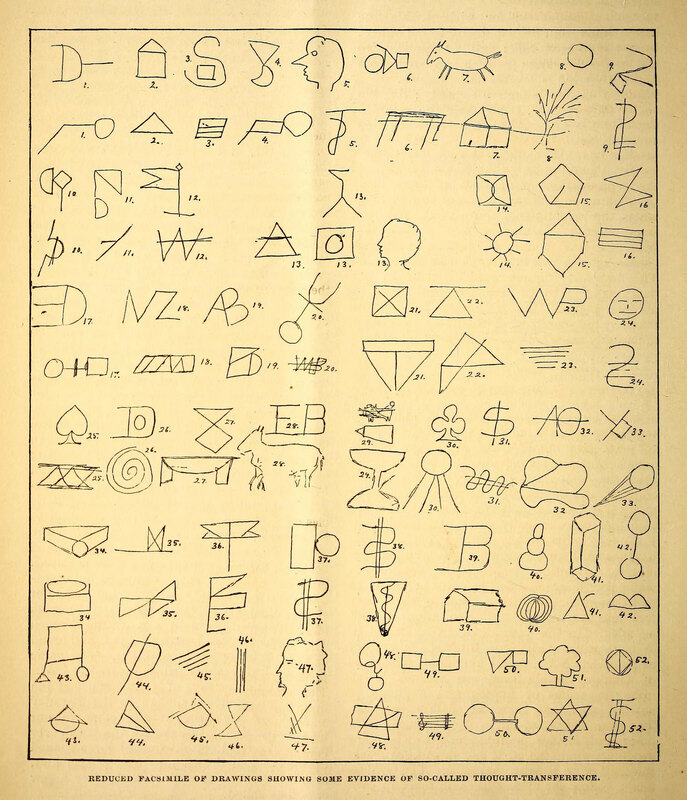 The image featured here shows the drawings made during the experiment, one person making a drawing, after which another person tries to copy it without seeing the originally drawn picture. As you can see there was limited success.